This statement came from a dear friend of mine who I asked to proof my previous blog “Still Standing.” She is not a minister’s wife. She is a high school counselor, a chocoholic, and Christian sister who has allowed me to be me over the years. As ministers wives we are often forced to plaster a smile on our face and go through life. I mean, we are ministers wives and we should have all the “religious stuff” figured out. Shouldn’t we know the Bible from cover to cover and be able to quote scripture at any given moment? Shouldn’t we be able to give wise counsel to make someone feel better? I am rolling my eyes as I type this paragraph because it sounds so ridiculous. Really girlfriends, sometimes this is exactly how the world sees us and our families. I have seen some ministers wives hide their pain and grief by mechanically going through the motions of ministry. It truly does them no good and personally I believe it sends a false idea in to the world. Yes, we should be able to handle things differently from the lost world. We should strive to set an example. However, sometimes we hurt, we cry, we get angry and that’s okay. The world should see us as real people. The bible tells us that Jesus was angry, he wept, and that his heart was broken. If the Son of God experienced these emotions, then why should we as ministers wives think we should never feel the same way? As I have gone through the grief process of loosing my mom, I have run the spectrum of emotions. In the beginning I was in total denial. I could never imagine that Mom would never be able to cook our favorite treats or even leave her bed. Soon I entered the anger phase. Oh girlfriends, I was so angry at the doctors for not curing her. I would find myself demanding answers when the doctors were baffled themselves. I stayed in this phase for several weeks until I stayed with my mom for 48 hours in the hospital where I watched her suffer so much that I began to beg God to give her peace. It was at that moment in the wee hours of the night that I began to understand that God was getting ready to call Mom home. I cried my heart out then I found myself softly singing “It is Well with My Soul” in the room. Over the next eight weeks I slowly began to silently release Mom to the Father. One day when Mom and I were talking I told her, “Mom, I don’t want you to leave us but I also don’t want you to suffer anymore. I know that as soon as you draw your last breath here that you will be with the Lord.” At that very moment I was at peace with what was to come. Was I upset when Mom left this earth? Sure. Did I cry? More like sobbed. Do I still cry for no reason? You bet I do. Was Mother’s Day difficult? Yes, because I couldn’t call Mom. Do I understand why God called Mom home or why she had to experience great pain in her last few hours? No, I don’t. I do know that Mom is at perfect rest, completely healed, with the biggest and brightest smile on her face because she is at last home. I know that right now she is talking to Jesus and preparing a homemade chocolate pie for when Jesus comes to get me one day. Hmm, I don’t even know where I should begin this blog post. There are so many things to say but my mind is still numb from the loss of my mother at the end of April. I thought I was prepared. I was strong during those last weeks for my dad and my brother. I helped Mom plan her celebration service and even laughed with her when she said she thought dancing in the aisle would be okay with her. However, I still cannot believe Mom is no longer here. Just how am I to deal with that fact as a minister’s wife? As you know God moved us back to Arkansas in January. Mom became very ill in that same month. She battled, for the next four months, a disease that took her life. I, along with our family, held out hope for several weeks that she would be healed. However, I still remember that fateful morning when she was in the hospital for the last time, the doctors told us there was nothing more they could do. We brought her home on hospice and for the next eight weeks we tried to make her comfortable and happy. One thing that Mom was able to do was to tell all of us that she loved us. Her grandchildren came from as far away as Las Vegas to see their Granny. She told them she was proud of them and loved each of them. She even spoke about her first great-grandchild and how she wished she would be here to see Baby Lee. (We all believe that Granny Hazel is up in heaven playing and spoiling Baby Lee. She also already knows if we will have a boy or girl). I realized quickly that Mom has blessing each family member or friend who walked in the door just as the Old Testament speaks of Isaac blessing Jacob. The last two weeks of her life were pretty rough. She slept a great deal and when she was awake, she wanted someone to be in the room with her so she could talk. One night she had the sitter wake me and for nearly an hour Mom talked about what a blessed life she had had and that she loved us all dearly. She told me she was ready when God called her home. Girlfriends, let me tell you times like this one nearly ripped my heart out but I held it together for the most part. Even as I sit typing, tears are falling down my face because I have not fully grieved. I still find myself anxious to tell Mom something and will go to pick up the phone. Then I realize Mom’s at her eternal home now. Sometimes I ask the Father to tell Mom that I miss her and I feel quite certain He does because I feel His peace. One thing that has seen me through these days in the valley of death is the prayers, cards, and love of God’s people. Our new church family has been so wonderful. When I was able to be at church, people provided lots of hugs. Knowing my addiction to chocolate, some friends even brought me goodie baskets filled with a variety items including my favorite nerve pills-Peanut M & Ms. Of course, my sweet girlfriends across the state of Tennessee have stood in the gap for me as well. It is only by the grace of God and His use of His children that my family is still standing. The lessons I have learned during the four months were hard but good. First, treasure your family, tell them you love them and bless them. Second, God will never leave you. Third, don’t get stuck in the grief process, and learn to laugh through the tears. Fourth, don’t keep your emotions bottled up. I have been angry with doctors and even God. I have kept silent and walked out of the room. I have laughed and cried at the same time. Yet in all these emotions God never turned His back on me. A few weeks ago I had a wonderful opportunity to share with some ladies at a retreat. The whole experience actually had a two-fold purpose for me that was a precious gift from God. First, I went to the retreat desiring to be used by the Lord to minister to others, and secondly He showed me how desperately I needed this retreat for myself. Being in God’s Word, the fellowship, the food, and of course, the fun, were all fantastic! The Lord reminded me of how very important it is to get away from our normal routines, just to experience Him and the company of His people in an awesome way. The theme of the retreat was “submission”. Now, isn’t that something that we all struggle with at times? The Lord led me to remind the ladies that we submit to a wonderful Triune God…..Father, Son, and Holy Spirit. In one of the retreat sessions, the Lord had me to prepare an acronym for the word “submit”, so that it would remind all of us of the glorious God that we submit to and serve. My dear sisters, I want to share the acronym with you too. Submission isn’t so intimidating when we realize that we submit to a Holy God who loves us and desires His perfect will for our lives. When we think about the depth of Christ’s love and sacrifice on the Cross, why wouldn’t we want to submit? In my blog earlier this week, I encouraged my sisters who are wives of pastors and ministers to seek the Lord for His calling on their lives, to keep from being overwhelmed with too many activities and ministry commitments. God knows us so deeply and so intimately; He places us where we are needed to serve in the body of Christ. Let's look at an Old Testament hero to help us understand about serving. We may not be called to defeat a huge army like Gideon, but we are called to serve the Lord as we support our husbands in the ministry. As we interact with God’s people in our local churches, we get to build relationships and bonds with dear friends that may last a lifetime. Also, we get to meet other wives who share some of our same struggles and issues, and ultimately we have the blessing of encouraging one another along the journey. Ladies, our East Tennessee Ministers Wives Retreat is scheduled for September 21-22 at the Governor's Inn in Sevierville. Go to www.tnministerswives.org for all the information. There you will find the agenda, lodging information, speakers, and how to register online. Your $50 registration fee includes the conference materials and your Friday night meal. You must call the Governor's Inn directly to make your lodging reservations. Rooms are $79/per room. Tell them you want the block for the Tennessee Baptist Ministers Wives Retreat. If you want to come in a day early or stay an extra night you can get that discounted rate also. Start making plans now to attend. See you in September. My sisters in ministry, it appears that many wives of pastors and ministers are feeling very overwhelmed with all of their duties and responsibilities. They are crying out for help because they are bogged down with assignments they simply are not called to do. This is not a new thing; my fellow sisters who share this blog with me have written about it before. What is the solution? How do you survive in the midst of all the activity and unrealistic expectations? The Lord is silent in His Word when it concerns "specific" functions of the wife of a pastor/minister . Church leaders, such as pastors, elders, bishops, overseers, deacons, and even some say the wives of deacons, are given instructions by God as to how to conduct themselves in the church, but not the wife of a pastor/minister. Are you left to fend for yourselves, without having a clue as to what the Lord expects? The Lord issues a tender call in the book of Jeremiah…"Call to Me and I will answer you, and I will tell you great and mighty things, which you do not know.” Jeremiah 33:3 If we want to know about some things, let us ask the One who knows everything. This verse is an invitation from our God; I take this beckoning literally. I believe we can get specific with God and ask Him things such as: Do I need to serve on the youth committee, even though I am already on three other committees? Am I called to volunteer in the nursery, just because Sister So and So begged me? Will I be seen as an unsupportive wife if family commitments prevent me from attending a church event? These are just examples of some of the various issues that can come up; I am sure that many of you have your own dilemmas that are unique to you and your church. Do not despair! Get alone with God, and ask Him to show you how HE wants you to serve Him and His people during this season of your life. This may be uncomfortable, in that you may find yourself having to let some things go, in order to do the ministry work He has just for you. Do not be driven by the expectations of others. I had to step down from a particular ministry position, but I prayed about it for over a year, and I did not move until God confirmed it in my spirit. Sometimes it may not take that long to get confirmation from the Lord, but waiting on God’s timing is always best. When God confirms an issue, He gives us peace that we have made the right decision. Ask the Lord specifically what HE wants you to do, and by the power of the Holy Spirit, do it to the glory of God! The 2013 Bi-Vo Conference will be February 21, 22, & 23 at Music Road Hotel in Pigeon Forge, TN. We just got back from the Council Planning Meeting and.....I promise, this will be a retreat you will NOT want to miss. Go ahead and mark you calenders now............you will not want to miss this. The total cost is $175 per couple. Hope to see you in February!!! As you are reading this, Roger and I are currently in Nashville at the Bi-Vocational Ministers Council's Planning Meeting, where we are praying and planning for our awesome Bi-Vocational Ministers and Wives Conference that will be held this coming February 2013. Please pray for us as we plan. If your husband is a Bi-Vocational Minister, please make plans to attend our conference. I can not even begin to tell you what this conference does to a minister and his wife. Our church can not wait for Roger and I to attend every year. They say us going to the conference is like us getting a great big Booster Shot. We come back uplifted and renewed and on fire for God. We have made so many close friendships through the conference. These are friends that we stay in contact with throughout the year. There is just a bond. Bro. Ray Gilder, Lana and Marjorie do an awesome job of seeing that our plans are carried out. This past year we had many, many first time couples and we did not meet anyone that was not planning and anxiously awaiting the next conference. I promise you it is not like anything you would expect. The first year we went....probably 13 or 14 years ago, I did not want to go. I was tired.....and burned out. I could only imagine that it would be a marathon preaching weekend and I just wanted a break. We went....only because our deacons had come to us and said they were paying for it and wanted us to go. WOW.....how glad I am we went. It was NOTHING like what I expected. Yes...there is lots of breakouts sessions, devotions, preaching and singing...............but everyone there is in the same boat as you. Everyone is burned out and needing a boost. Everyone has at least the church job and two to three other jobs to make ends meet. And like I mentioned.....the friendships are a hugh added bonus. Again....I would like for you to start praying and begin right now to make plans to attend the Bi-Vocational Conference in February 2013. You will be glad you did. I know that many of you probably get tired of hearing about my personal life, but if you will go back and read some of my first blogs, I warned you......I am a detailed person. My husband always wants to just see the head of the baby, but I HAVE TO give him the nine months leading up to that point. Smile. I am such a detailed person, that...as a blogger I am asked to blog twice a week at least during my week and I usually have to tighten the reins to keep from blogging more than five times. That's just the way I am.....it just proves that God can use ANYONE. I truly feel like a blessed woman. I have a great husband, "four" wonderful children, two smart grand-dogs and a precious grandbaby on the way........plus a fabulous church and lots of marvelous friends. What more could a person ask for? Every day I look all around me and thank God for all that he has given me. I do not feel worthy to be so blessed but am honored that he chose me to bless. Do you think it is possible to ever feel that we deserved God's love, compassion, blessings and mercy after everything that he has done for us? Don't get me wrong.......I do not have a perfect life.....I just have a God centered life. 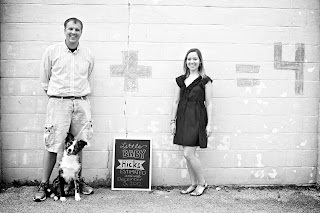 We just spent a year and a half with our daughter and son-in-law battling infertility. We are currently praying and trying to patiently wait for God to find our son-in-law a job back in East Tennessee....where they live, our daughter teaches and her doctor is located. Our son and his new bride have just spent the first four months of their marriage mostly apart. God never promised us an easy life....he just promised to be there WITH us all the way. Aren't you glad we have help? Congratulations....Melanie!! 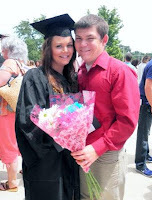 !Our daughter-in-law is finished with school and has graduated from TTU!!! 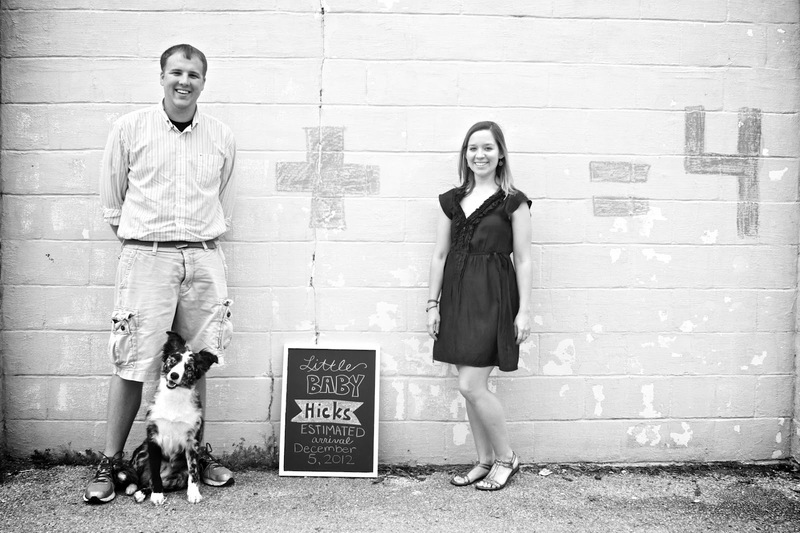 FINALLY her and our son can begin their lives together in Gallatin,TN and not just be weekend husband and wife. Please continue to remember them in your prayers as she searches for a job and as they begin their lives together. Pray that they will find and get involved in the church that God would have them to go to. This has not been an easy time for them....just getting started on their marriage and having to spend the last four months away from each other all week, but God has seen them through it. Melanie is a Nutrition Major so if you know any job openings in or around Nashville, Gallatin or Hendersonville, please let us know. Once again....thanks for all of the prayers. I love their Pregnant Announcement.....only from a Math Teacher. Smile!!! Through God...All Things Are Possible!!! I requested prayer for our daughter and her husband a few months ago. They were having fertility problems and things were not looking very hopeful. In fact, the first of December, the Specialist told her that the only other option was VERY EXPENSIVE, insurance would not pay any and she still only had a less than 25% chance of conceiving. She said that mentally, emotionally and financially she could not handle any more and chose to quit the Specialist for the time being and instead went back to her Midwife/Nurse Practitioner and broke down. She told her what the specialist had said and the Midwife said "Kacie, the specialist is only a doctor and you and I know 'the Great Physician" and we will NOT give up but will continue to PRAY....plus she had a few suggestions and medications to try. Praise God.....it worked!!! Through lots of PRAYER and with God using "Nurse Katie".....Kacie is now 11 weeks pregnant and mom and baby are doing GREAT. Continue to remember Kacie and Chase in your prayers. He is still working in West Tennessee and trying to find employment back in East Tennessee so they can be together. Pray for a healthy pregnancy, healthy baby and pray for "Nurse Katie" as she guides them through this miracle path of life. 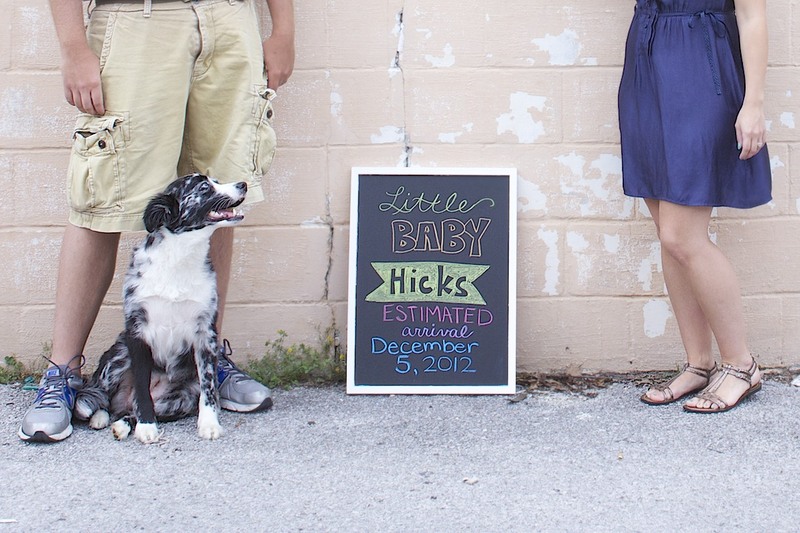 "Baby Hicks" is due to arrive sometimes around December 5th...."mom" came 3 1/2 weeks early....so who knows. Smile. Many times when we, too, are faced with hardships, we want to give up or be angry with God. Kacie and Chase never gave up and they praised God through their year and half of trials. Wow....if we could all be so faithful.....just imagine how many answered prayers we would have. Thanks again for praying for them and continue to remember them in your prayers. PRAYER CHANGES THINGS!!!! Remember Mom . . . This is just a reminder to remember . . . Yes, remember your mom and all she taught you and all that God has taught you through her. Remember the people in your church, and in your spheres of influence who are hurting this weekend with every sappy commercial and well meant "Happy Mother's Day" wish. Remember the couples who long to be called parents and how this weekend seems so cruel. Remember birth mommies that loving placed their babies in the arms of adoptive parents demonstrating an intense selfless love for their children. Remember the mothers who have buried their children. Remember the mothers who have miscarried never seeing a face by which to remember what they've lost. Remember Mom in your prayers this weekend. I don't know about you, but I think I have just about enough on my plate right now. The idea of "more" would be like continuing to eat long past the point of feeling full. "More" would mean that there would have to be "less" of something else. There just isn't any more room. There are lots of things that I would like "more" of: time, money, sleep, chocolate (Right Vickie?!). In my limited understanding and poor perspective, it seems my life would be so much "more" if I had "more" of certain things. "More" seems like it would be the complete opposite of contentment. I mean it is, isn't it? And, as a "good" Christian and minister's wife, aren't we supposed to be content? Isn't there a Bible verse that commands us to be content in ALL circumstances? At the beginning of this week, I found myself feeling drained. Then by Wednesday night after church, I felt completely dry and drained. (Funny how Wednesday night church can do that to a gal?!) Then, last night, Rachel Lovinggood spoke to the women's ministry at our church. She spoke about "more." She read Ephesians 4:14-21, a prayer for spiritual strength. The Holy Spirit reminded me that all the "more" I need is available to me any and all the time. Then He spoke through Rachel that He wanted to give me even "more," "immeasurably more,""more than I can ask or imagine." Gals, if I turn myself loose, I have a pretty active imagination. When did I stop imagining what God could do? When did I stop asking and looking for Him to do it? You know when? When I stuffed myself with everything else. I am setting my mind to memorizing this passage. I know that I won't need "more" when I start asking God to do "more." Thanks for reading this and giving me a place to process my "more!" The "WWJD?" question I discussed yesterday came to me after I watched the video I am posting today. This couple truly possesses a God-honoring marriage. I love my husband fiercely, but I am not sure that at 22, the age I was when we married, I could have seen Christ honored in my life the way this young couple have, and continue to experience. The video is a little over 8 minutes long, a little longer than I usually will sit and watch, but definitely worth it. It is continuing to challenge me. I pray it will challenge you too. The popular phrase "What Would Jesus Do?" became a Christian marketing goldmine in the late eighties and early nineties. "WWJD" was found on every product imaginable and all "good" Christians would wear the bracelets proudly wherever they would go. I know that this movement was based on the book "In His Steps" by Charles Sheldon. And while the premise is really good, I think it leaves something out. Yes, it is important to consider how Jesus would respond to a given situation or how He would make a decision, but it can easily feed our tendencies to be legalistic and religious, checking off one more thing to try and earn favor with or favors from God. We can do all the things that Jesus would do with all the wrong motives. The Sermon on the Mount is filled with Jesus challenging His followers to check their motives. Before, as long as we didn't actually commit adultery, it was okay. Now we have to take care not to have impure thoughts. Obviously, murder is a no-no, but now being angry with a brother is a problem. As a wife of a minister, I have often gone into a worship service with the wrong motive. I have accepted an invitation to be a part of something that I knew I needed to, but my heart couldn't be further from. I have done what was expected of me but I did so with a sinful, ugly inside covered with my minister's wife smile and fake graciousness on the outside. What about you? Have you done things as a minister's wife or a Christian because you felt like you should? Like it was simply what Jesus would do? Or maybe that Jesus expected you to do it whether you felt like it or not? How do you handle this? For me, they seem to come in seasons. These seasons are long and lonely. When this happens, what do you do? How do we deal with the comparing, complaining and criticizing (CCC)? First, ask God to let us know any and every time we compare, complain and/or criticize! Much of the time we don’t even realize that we are doing it because it has become so “normal” for us. Every time we CCC, let’s confess it is sin and repent! Stop it! Second, quit letting the comparing, complaining and criticizing control us. We control what we think, do and say and we do NOT have to compare, complain or criticize!! Philippians 4:8 tells us to think on things above!! Things that are true and honorable and right and pure and admirable and excellent!! Let’s think on those things instead of the things that cause us to CCC! Let any critical and/or negative thoughts go immediately!! We must listen to the Holy Spirit say love does not keep a record of wrong and give mercy and focus on Me instead of all of those other people!! Also, let’s hold each other accountable for our comparing, complaining and criticizing! What if we would call each other out when we start doing it? What if everyone in the Body of Christ would help each other stop destroying each other with our CCC-ing? Can you imagine how the world would then know we are His disciples because of our love for one another? One thing that helps me when I begin to fall in to the CCC trap is to be thankful. I know they are getting on my nerves (and they for sure are in the wrong!!) but there is always something I can be thankful about those people who bug me!! My attitude of gratitude has helped countless times! We know the most important thing we can do is to make sure we are focusing on God instead of those other people!! Focus on the One who loves us and desires for us to love Him first. Honestly, when we are focusing on the people in our lives they can become our god—an idol. We can’t please them. Our job is not to change them. Our job is to point them to Jesus and let Him do any changing or pleasing!! Let it go sister! Let it go and be free! It’s not our job to ‘fix’ everyone or anyone. It’s not our fault or our responsibility to make everyone “perfect”. Let it go! 1. Compare ourselves. We compare ourselves to other minister’s wives, other women, dead women and sometimes people we don’t even know. I wrote on this topic in a blog a few weeks ago if you want to check it out. So, on a scale from one to five—how often do you compare yourself? 2. Complain about our life. What do you complain about? Too hot? Too cold? Too old? Too young? Too tired? Too busy? The list could go on and on. We must “learn” to be content. Paul learned it! (See Philippians 4:11) On a scale from one to five. How often do you complain? 3. Complain about other people. So, if we are not complaining about our life, we are complaining about others. Who do you complain about? Church members? Staff? Secretaries? Spouse? Mother? Kids? Boss? Co-worker? Instead of complaining about them, try praying for them. One thing I have learned is that whenever someone is getting on my nerves—or my last nerve—I pray this: “God, if the problem is with them, please change them!! If it is with me—please change me!” Honestly, most of the time it is ME that needs the changing!! HE is so good at changing not only us but those who are in our lives IF He sees they need to be changed. Our complaining doesn’t change anything for good! On a scale from one to five, how often do you complain about other people? 4. Criticize others. Who are you critical of? Do you even realize that you are being critical? We call it “venting” and think it is OK…..God calls it sin. One thing I have discovered is that if I am critical of someone—chances are that I am guilty of doing the exact same thing that I am being critical of!! Yikes! We can get together with friends, family, co-workers and spend most of our time criticizing people!! On a scale from one to five—how often do you criticize people? I would love for each of us to honestly evaluate ourselves on the scale from 1 to 5. How often do we compare, complain, criticize? Or perhaps even better, how would those who know us best evaluate us??? Yikes! Forgive us Father!! !